The energy of love is a dynamic, multidimensional energy with effects spanning multiple densities. In essence, it represents the spark of life. This spark should not at all be limited to the understanding of romantic love, as its influence goes far beyond romance. The concept of divine love can be defined in many ways, and yet still be misunderstood. In order to have a more central understanding of what this love is, we turn to the Law of One text. According to the Law of One, everything we experience is us. Everything we do, that we feel, desire, and react to--it is all the Infinite Unity expressing itself as in an elegant dance. The experience is a distortion that we have each chosen to create for the sake of experience (though not so much in the negative sense of the word "distortion"), for our learning, and for a higher purpose of growth and expansion in this unity. We see that the essence of all things includes this love energy (at this particular density). This energy can be described as infinite, just as we are infinite, and yet at the same time, this love is distortion (or appears to be different than Oneness). We, ourselves, are already complete, whole, and unfragmented. If I understand correctly, at a higher level, there is no need for the concept of "love" as we now know it. This is because there is no need for connection. There is no need for connection because in reality, there is no separation. All is already connected. All things are one, and the One is the infinite. We as a collective and as individuals made the free-will choice to experience the distortion of separation so that we can learn the value of our infinite connected-ness. We chose to experience the lack and/or loss of not “having” this and that in order to learn and to grow in understanding of self. In reality, there is no love separate from ourselves, and connected-ness is the natural state of the infinite reality. Our natural state is In Love, and in truth, we are always in these, and they in us. However, this is not so easily grasped on an emotional level. To allow our emotions to understand this concept is another task aside from simply reading these words. It may help to hear this concept put in different terms. Let us approach the situation as we see it now. Though we may realize that the present, 3rd-density experience is distorted reality, and that we are all One, let us define the illusion (as it would not make sense to choose the experience, and then arbitrarily throw it away for the sake of fear). At our present state, love can be seen as the core of everything that we do and everything that we desire. It is a driving force in our everyday lives. So it is important to experience this divine love in fullness, not simply considering it in the context of relationship with others, but in the relationship to the self. Here is what the Pathwork source has to say on this matter. “It has become apparent through this work of self-realization that unreality breeds disharmony, and where there is disharmony, there is no love. The circle closes. Where there is no love, there can be no fulfillment. The benefit of self exploration in this matter can be the difference between success, fulfillment, and greater levels of awakening in one's life, and utter stagnation and instability of character in the individual. Which of these pursuits one chooses depends upon their ability to perceive self, as well as to have the courage and endurance to explore the self, no matter what they might find. Quite often, people find themselves pleasantly surprised as to the wondrous qualities they find while embarking on this journey of self exploration. The gradually increasing aspects of divine love are key examples of the little surprises that lay within us, waiting to be discovered. This higher-density wellspring of love energy is one of the most powerful tools we as humans have at our disposal. Though most of us have not yet realized this, this wellspring is the key to unlocking anything in our lives that we desire. 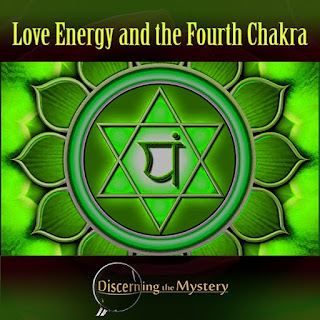 We will find this love centered within the Heart Chakra. Anahata is the fourth chakra in the body, and plays a most powerful role in our own life, and in the lives of all those around us. Here is what the website “Chakra-Anatomy.com” has to say about the heart chakra. 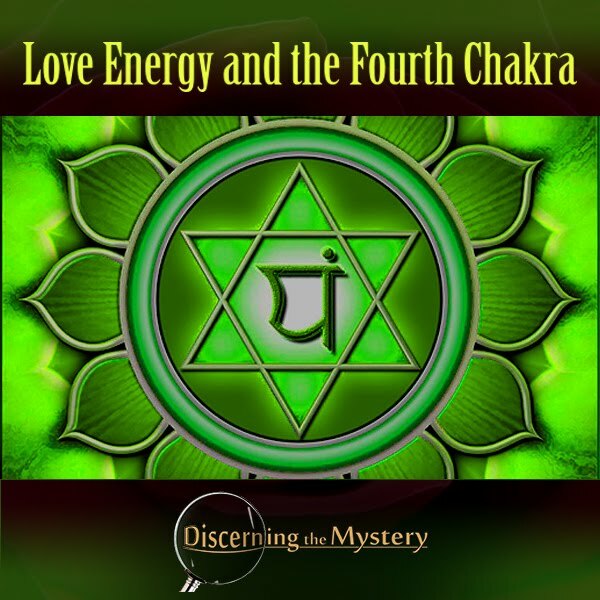 “The heart chakra - the wellspring of love, warmth, compassion, and joy is located in the center of the chest at the heart level. The heart is a powerful tool. With it comes the ability to accomplish virtually anything we choose. Given we make each choice in awareness of self and the potential consequences, we can create virtually any experience we desire. It should be understood that this beautiful distortion in which we live should not at all be seen as negative (or at least no more negative than we individually choose to see it), but rather with understanding and acceptance in the moment. The concept of love, along with every other distortion we choose to experience is essential to our understanding of what existence truly is. In our divine choice, we all chose to create this illusion. Let us explore it, experiencing every aspect as we see fit, and with the complete understanding that no matter what the experience may be, perfect love, health, and wholeness, are always with us. Happy Valentine's Day to all. Your heart's greatest desires to you.